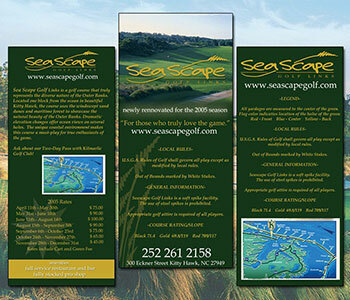 Rack Card designed for Sea Scape Golf Links to advertise their rates and information. 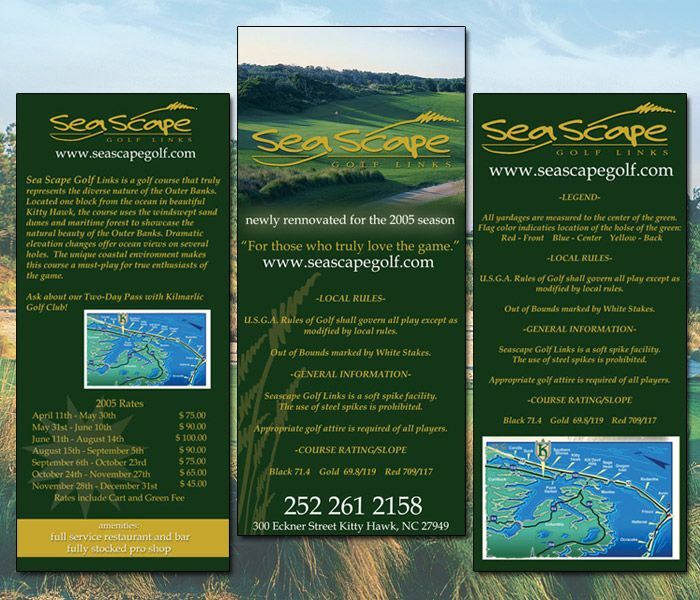 The card has an overall golf theme so you know what you’re looking at as soon as you pick it up. The sea oat in the logo is carried through in the design to help build their brand. The card demonstrates our ability to lay out a lot of information in a way that is easy to read and does not look too cluttered.